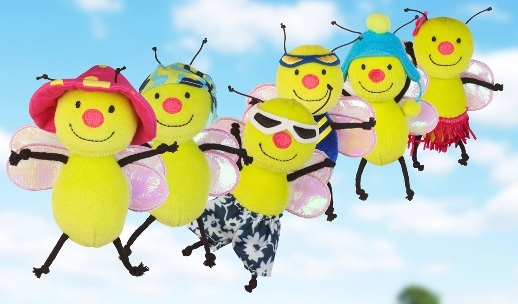 This summer, there’s a TrayKit® for every kid! Launching this year in the U.S., the award-winning TrayKit® and TrayKit® Traveller collection are fun for kids and practical for parents. Already a smash in the UK, the TrayKit® is created by a British mom and offers parents a brilliant all-in-one solution that can make traveling a lot more enjoyable -not only for you and your kids, but for everyone else in any train, plane or automobile! TrayKit® is a carry-on backpack that kids can pack themselves and easily carry along on any trip using the handle or shoulder straps. 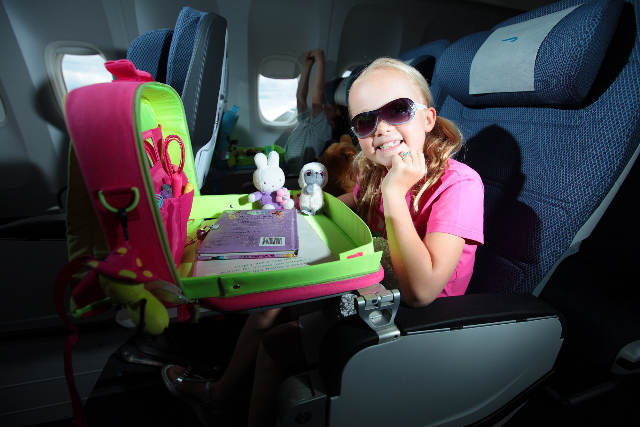 Once on-board, TrayKit® can be hung from the back of a seat or strapped onto train and plane tray tables. When kids open it up, they have an extendable play surface with raised sides, preventing any toys from going overboard, so no one has to crawl around looking for lost crayons and puzzle pieces. When ready to go, simply pack up the bag, so everyone -and everything- will be on time. Available May 2012. Distributed in the U.S. through Kids Preferred and specialty retailers nationwide, the TrayKit® Traveller collection is a terrific line of coordinating travel essentials, including passport covers and holders, luggage tags, travel journal kits complete with pencils and erasers, and the very cute TravelBug™ plush toy. Cool colors and patterns to choose from, something for boys and girls ages three and older –with a durable surface that can be wiped down easily.